Thanks for stopping by! I’m Briana (pronounced BRE-ann-UH), but you can call me Bri. I’m the founder of Brighten Made, a petite design studio based out of Des Moines, Iowa (but working with clients worldwide!) that focuses on branding girl bosses and creatives. I always knew I wanted to be a designer. Growing up, I found a passion in helping my mom decorate our home, flipping through magazines, and redesigning my Myspace layouts. Brighten Made came to life during my evenings and weekends while working in the corporate world. I wanted to create a life and a business that was more than just the 9-5 hours inside my grey cubicle, while working my way up the ladder. After graduating from design school and putting in a couple of years at Better Homes and Gardens magazine, I took the leap to pursue my passion full-time and haven't looked back since. 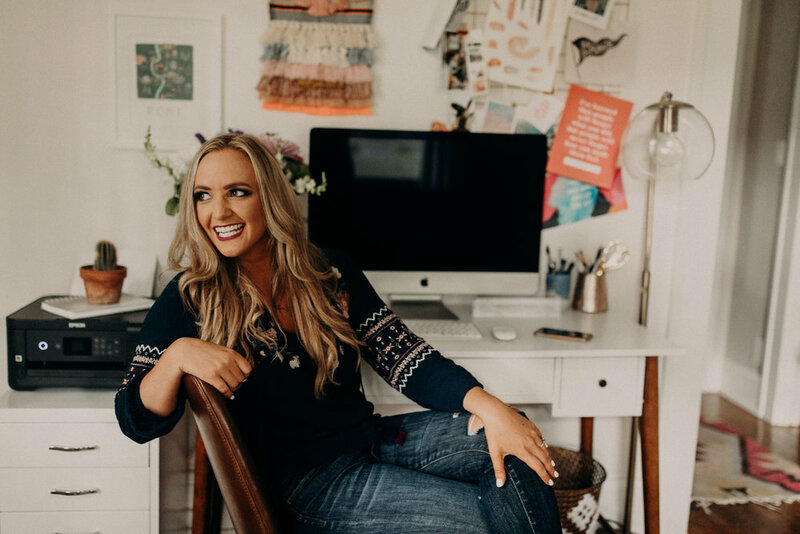 Currently, I run all creative aspects of Brighten Made, as well as partnering in the ownership of my wedding stationery company, Flyover Design Co., where I lead design projects from ideation to completion. When I’m not designing, you can find me scouring the aisles of Target (or West Elm or Anthro), working on the next project for my 1920’s abode, or snuggled up with my pup Pickles and fiancé Joe.